Get the ‘Spring’ back in your step by traveling to one of these places in April. Spring is a magical season because it continues to inspire feelings of renewal year after year. In honor of this colorful and gorgeous time of year, travel somewhere new to appreciate mother nature in all her glory! From the Cherry Blossom festival in Washington, D.C to sunshine in San Francisco, here’s a look at five destinations you should travel to this April. April is particularly busy in Washington D.C with Easter events, Earth Day celebrations and the weekly Smithsonian Jazz Appreciation Month (aka JAM) concerts. Join in on the fun and attend one of the brilliant performances honoring the transformative power of jazz. Spring in Washington also means that the beautiful cherry blossoms have bloomed! From 20 March to 15 April the National Cherry Blossom Festival will take place in the capital. Watch the parade on Saturday 14 April or take a cherry blossom tour and breathe in the sweet scent of spring. The ‘Windy City’ is lovely in April. As the temperature starts to climb, the city seems to match every degree with a plethora of non-stop exciting events! Baseball season is in full-swing so watch the Cubs play at Wrigley Field or go check out the White Sox…and don’t forget to try a delicious Chicago-style hot dog. Get an arts and culture fix at the Art Institute of Chicago home to iconic artworks and brilliant temporary exhibitions. Finally, Chicago Dance Month takes place in April, too! Watch one of the impressive cultural dance performances or take a beginner’s course for any kind of dance from tap/rhythm to circus arts and aerial! Visit ‘Music City’ this April and celebrate Awesome April, an ‘awesome’ month-long tribute honoring the vibrant city! Diverse music festivals take place every weekend such as Tin Pan South Songwriters festival from 3- 7 April. the world’s largest songwriter festival. This year marks the twenty-fifth anniversary of this festival dedicated to creating music in an up-close and personal setting and the artistic commitment it involves. Walk through the Cheekwood Estate & Gardens and admire the 100,000 tulips that adorn this 55-acre estate. Inspired by the beauty of the tulip blossoms, Cheekwood in Bloom offers a multitude of family-friendly events running each weekend. 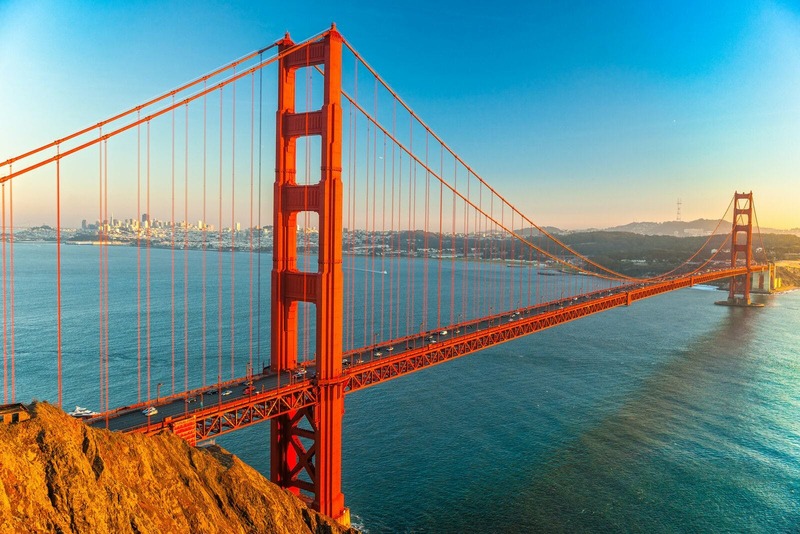 The ‘City by the Bay’ is excellent in April as the weather is comfortably warm and sunny, and the city is abuzz with tons of lively international events. From 4 April to 17 April, check out San Francisco’s International Film Festival, the city’s largest independent film festival. Now in its sixty-first year, the film festival showcases more than 180 films by artists from all over the world! On 21 April, attend the San Francisco International Beer Festival, which will feature more than 100 breweries (and flavours) from different countries. Take full advantage of your visit to this culture hub and get the Go San Francisco Card for access to 28 tours, museums, attractions and more. Head down to Savannah, Georgia where Spring celebrations are seemingly never-ending. Start your adventure at the First Friday Fireworks on the sixth of April, an explosive event that is lovingly paired with River Street Fun located on ‘River street’ along the Savannah River. This free event is open to the public and starts at 9.15 pm. Walk the street lined with live music, food booths and artists. The Savannah Music Festival takes place 29 March-14 April with more than 100 performances in a range of musical genres like classical, folk, pop, jazz and more.